Welcome to Wait Roofing and Seamless Gutter, Inc.
We provide quality roofing specialists dedicated to finding the right solution for your roofing and gutter needs. Wait Roofing installs architectural composition, concrete tile, wood shakes and shingles, metal, hot tar, single-ply, torch applied roofing, and coatings for existing low pitched roofs. Four types of gutters are available: 5 Â¼" or 7 Â¼" fascia and 5" or 6" Ogee. Gutters are custom made on site to fit your building. Complete gutter screening is also available. 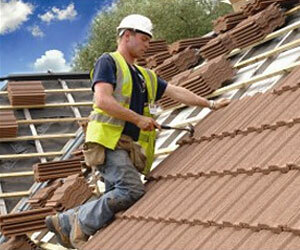 In 2007 Brighter Solutions Skylight Specialists was added to the services offered by Wait Roofing. We are a "5 Star" dealer and installer for Velux skylights and sun tunnels. A VELUX skylight, sun tunnel or roof window can add beauty and comfort to your home.